So you’ve dropped some dinero on lash extensions. Might as well learn how to make ’em last, right? We just received some great tips from celeb beauty guru Skyy Hadley. Try them out this summer and see if those little lashes stay put any longer. If you’re just looking to shorten your time in front of the mirror each morning, opt for a less dramatic lash. They’ll still look stunning, but will be much easier to maintain. Once you get them done, allow lashes 24 to 48 hours of setting time before getting them wet. Moisture from washing your face, showers or even sweat can easily reactivate the adhesive and make your lashes clump. Avoid touching the extensions as much as possible. Lashes will naturally shed on their own. Touching or messing with them can make them fall out faster. 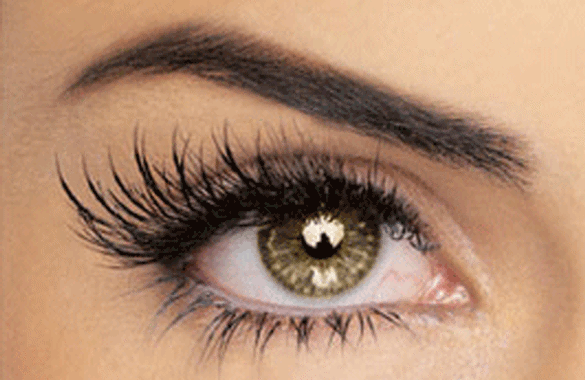 Keeping your natural lashes healthy helps maintain your extensions, too. Apply lash conditioner, baby oil, or lash lengthening serum to make sure your extensions have a strong base. Our 2 Cents: Only wear waterproof mascara when it’s absolutely necessary. (Like a funeral!) No joke. Most of these are really harsh on lashes. If you do use it, try an oil-based remover.